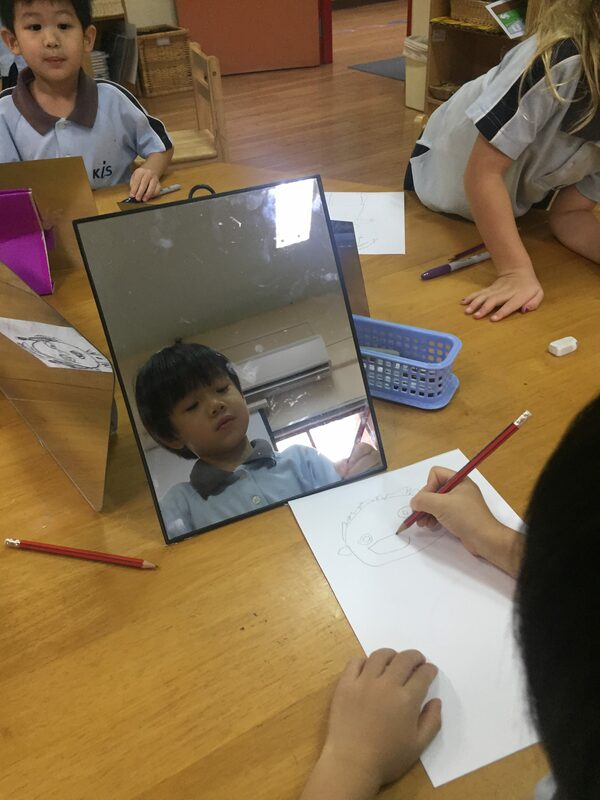 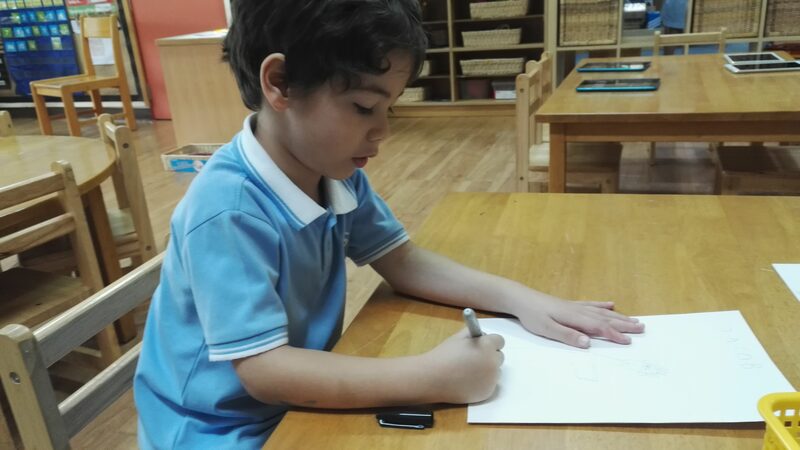 Last week in EY2, we continued with our year-long unit as the children worked on their second self-portraits of the year. 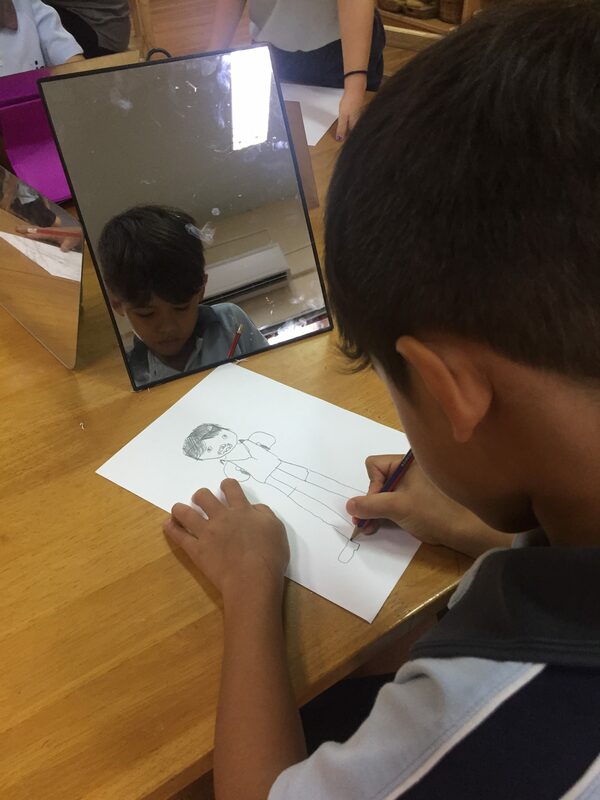 These will provide an opportunity to reflect on self-development as we look at how the children’s drawings have changed since we drew self-portraits at the beginning of the school year. 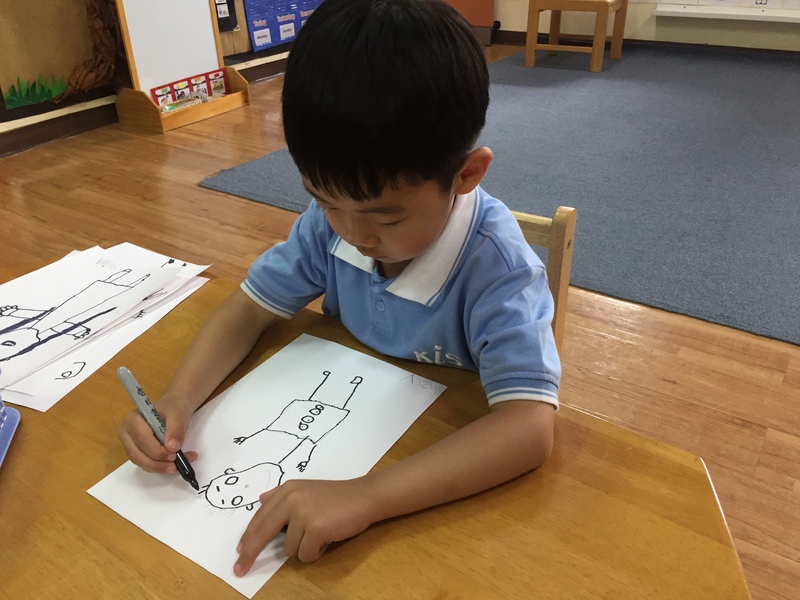 The children created black line drawings, which they are cutting out and sticking on a background they are creating as a collage of various kinds of paper, connecting with our current inquiry into materials. 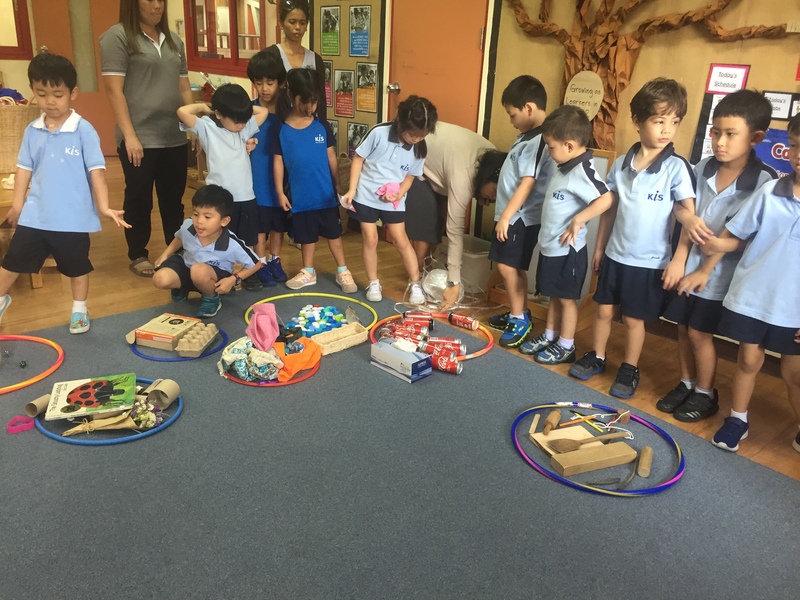 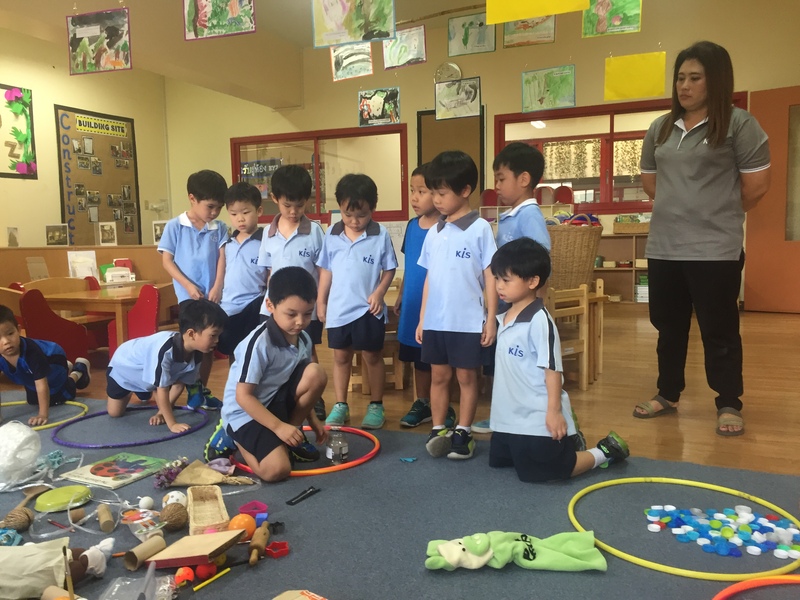 We began to think about materials last week, presenting the children with a tangle of miscellaneous items and asking them to sort them into hoops to organize the mess. 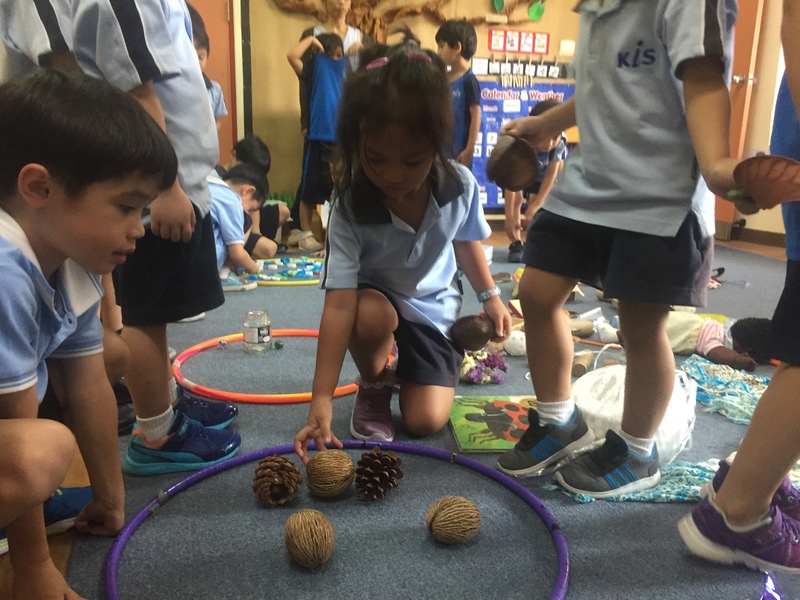 We can see that they already have some awareness of materials, as they naturally began to categorize the objects according to what they were made of. 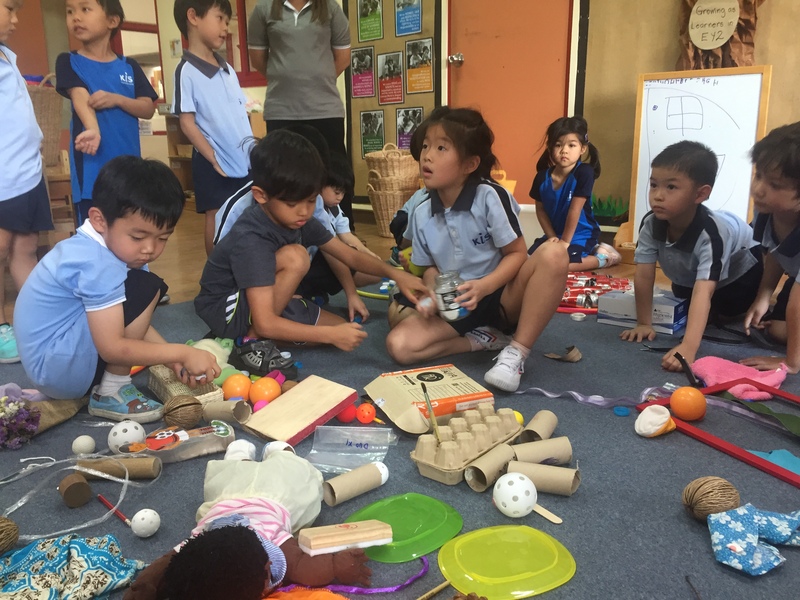 They created groups for plastic, metal, wood, fabric, and cardboard, amongst others. 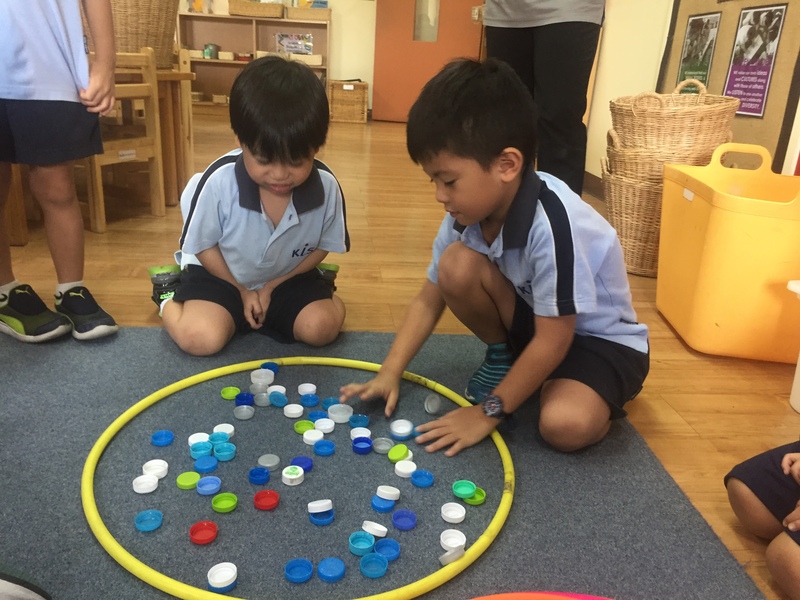 We are interested in seeing how their sorting will be refined by the end of our inquiry. 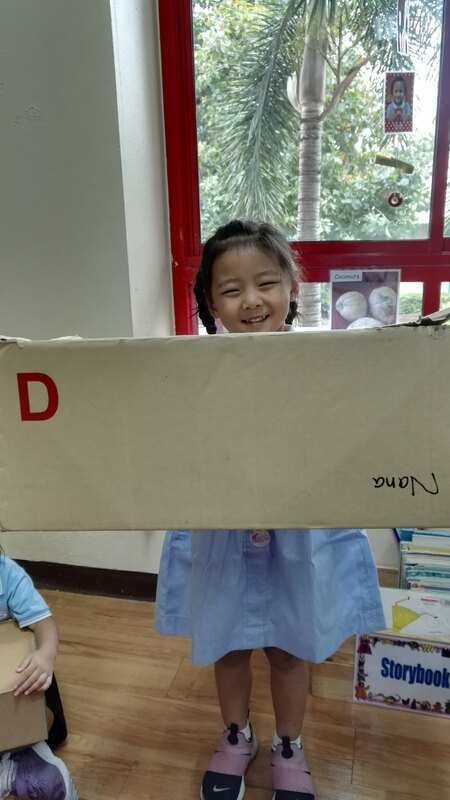 Many children brought cardboard boxes to school last week, which we are now beginning to use as construction materials in our role-play area. 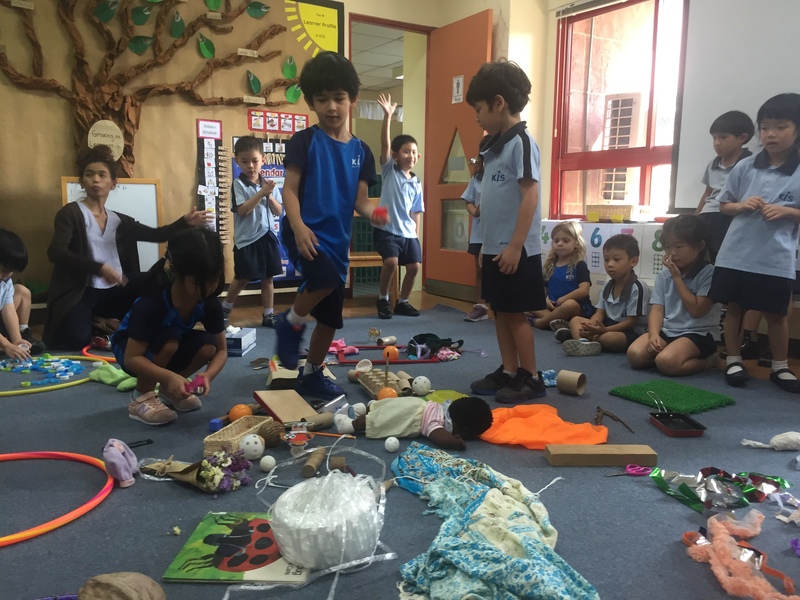 Thank you to all the families who supported this endeavour by sending in these artifacts! 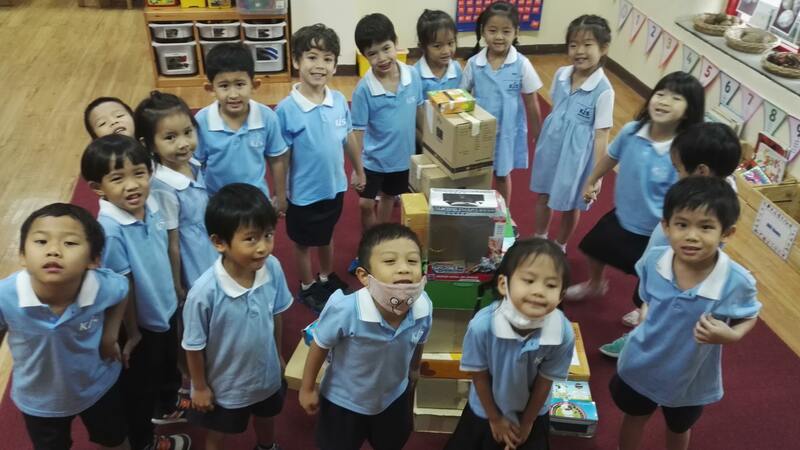 It would be great to have some more cardboard objects that are not boxes, so that the children can experiment with different shapes in their construction projects. 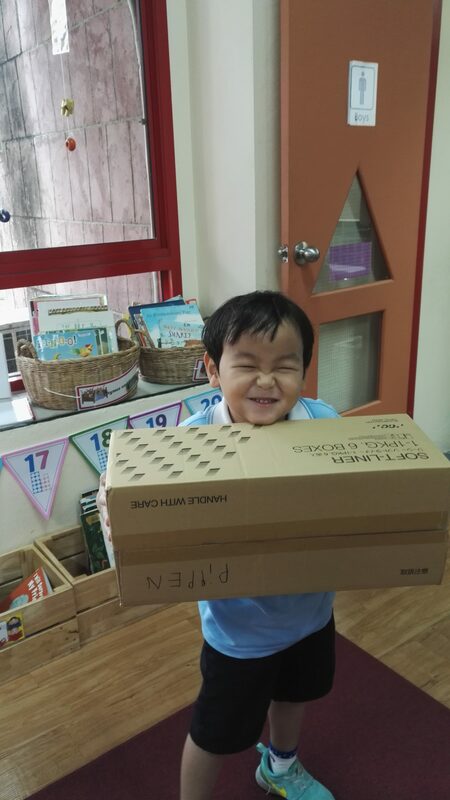 Cardboard sheets, tubes, egg cartons, or any other shapes you have at home would be most welcome! 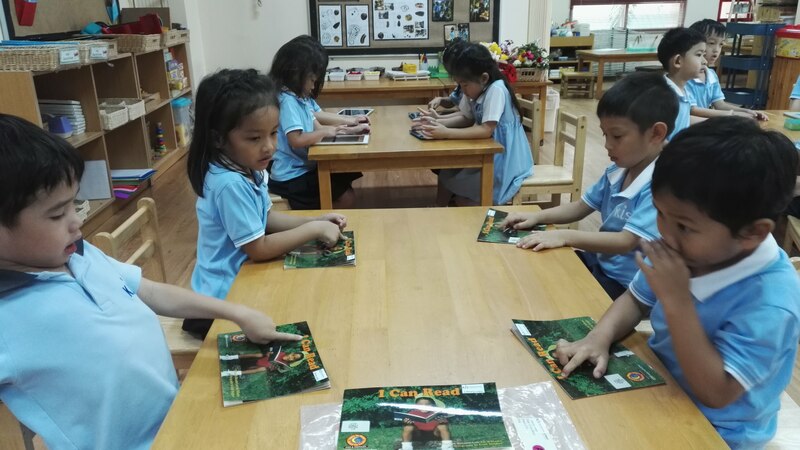 This term we have started to run literacy groups four days a week. 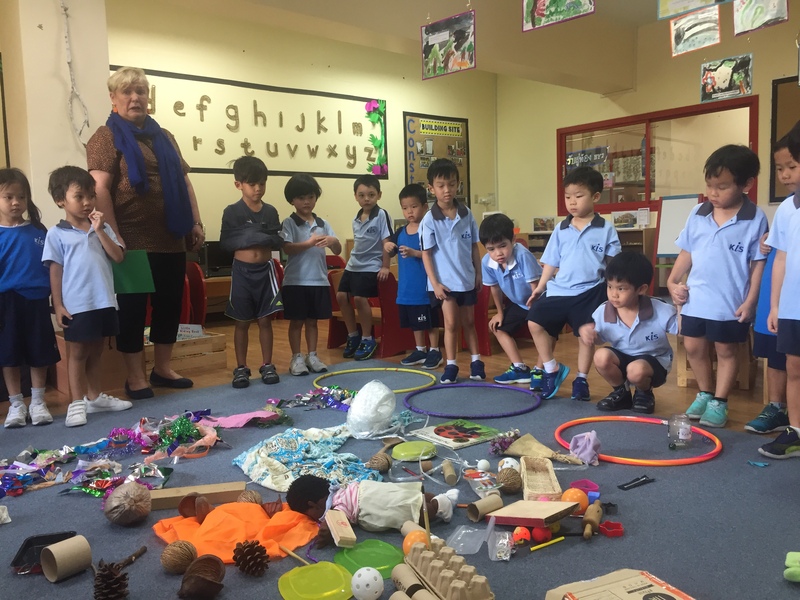 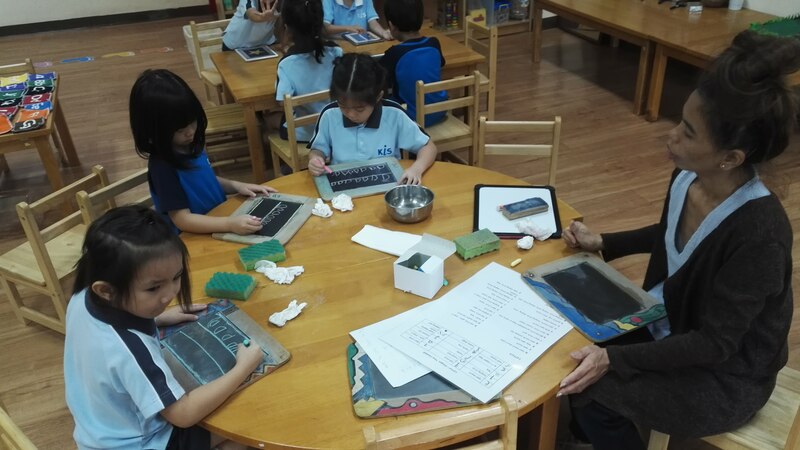 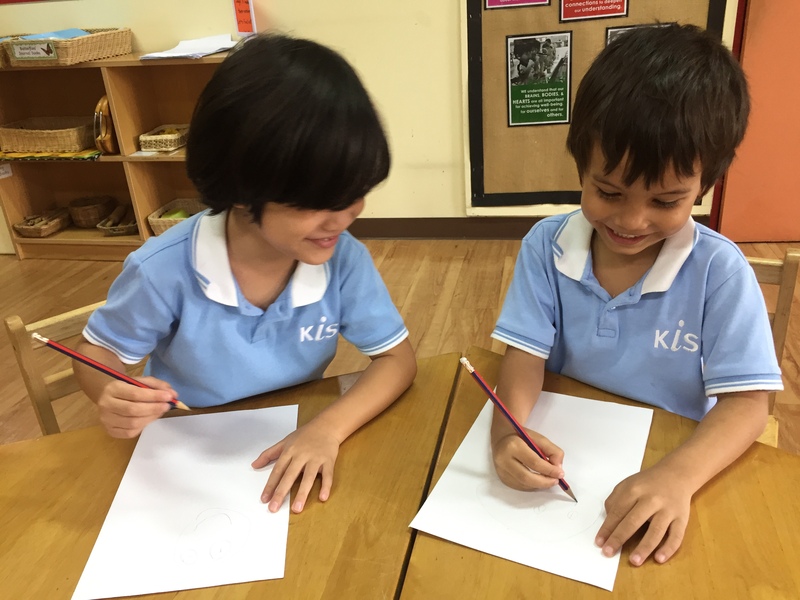 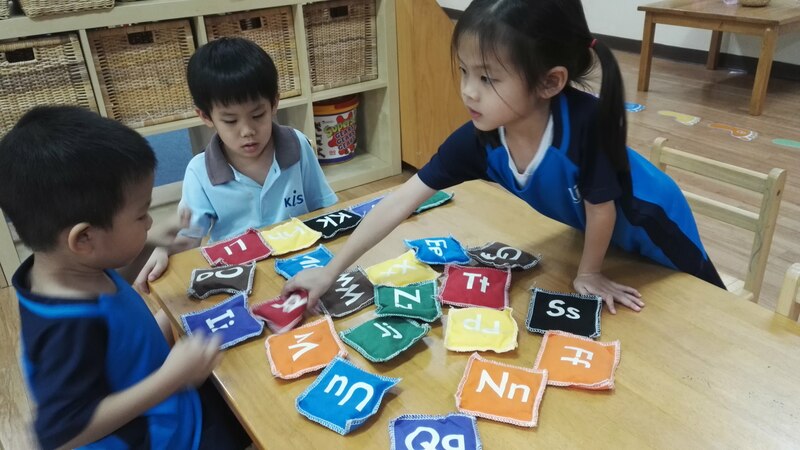 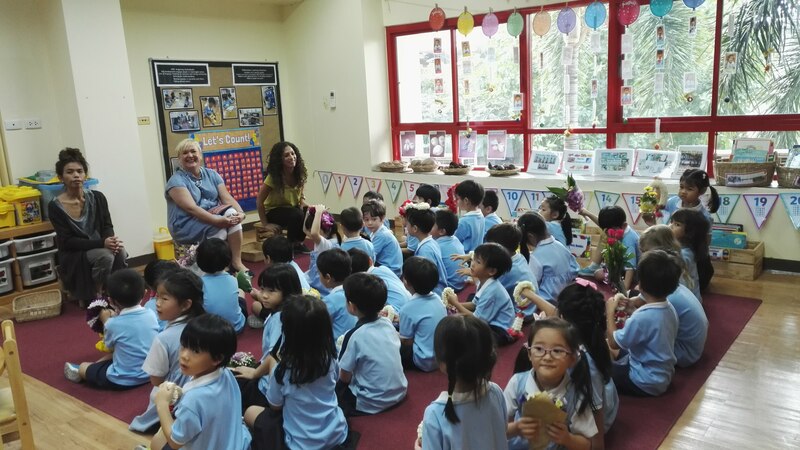 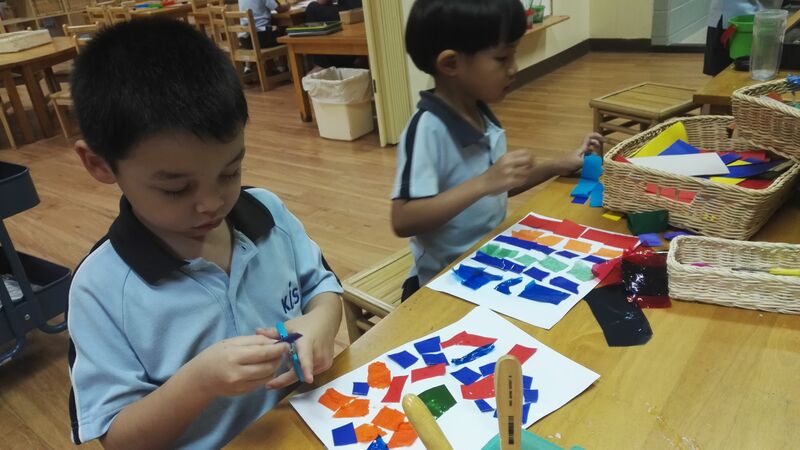 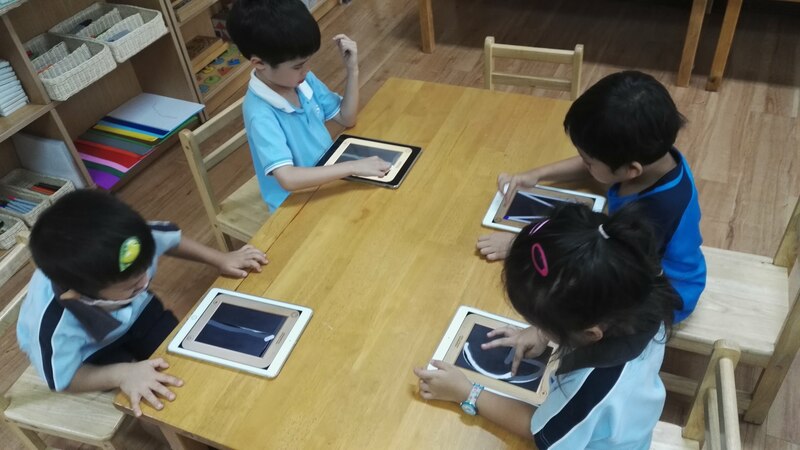 We begin with the whole class together, learning about a particular letter-sound through songs, rhymes, and videos, as well as other interactive activities to help the children connect letters with sounds, words and communication. 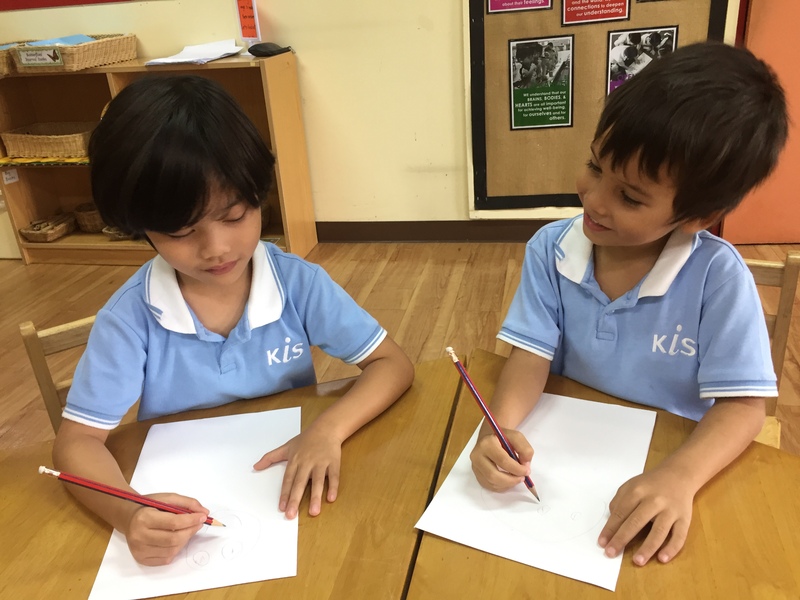 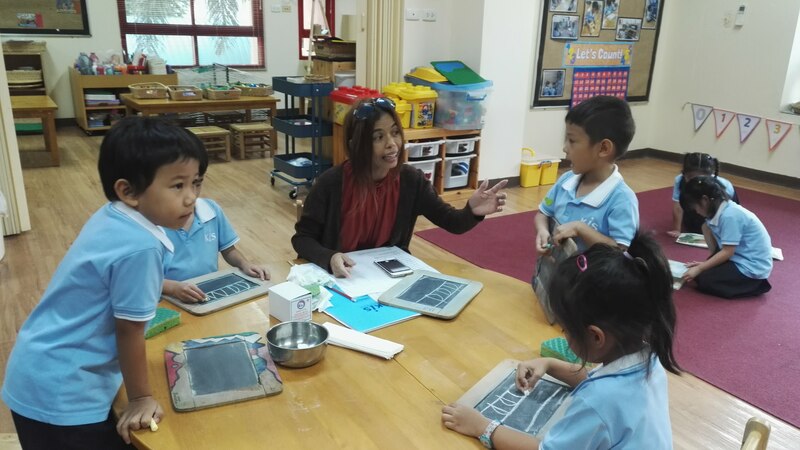 The children then split off into levelled groups, rotating through four different literacy engagements each week: reading with a teacher, reading independently, handwriting practice with a teacher, and literacy games with friends. 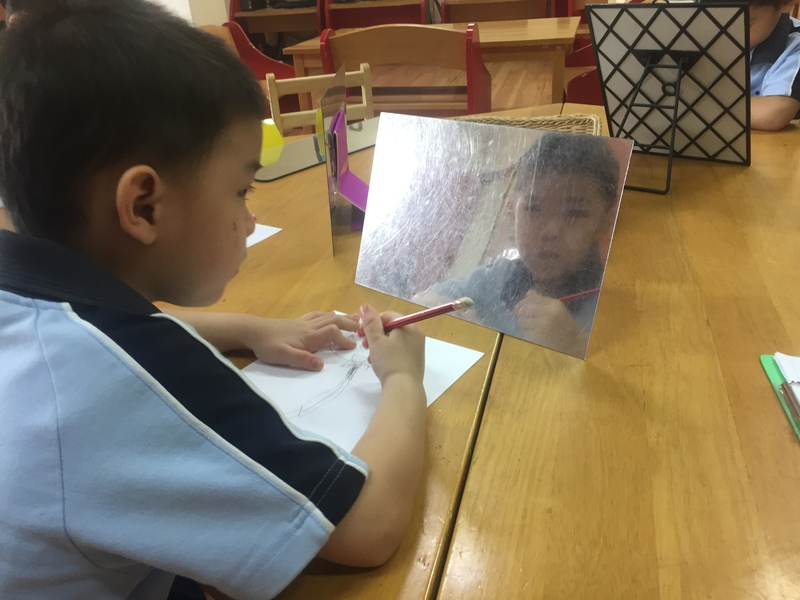 These small-group centres provide explicit reading and writing instruction, while we continue to embed these skills in our play and inquiry activities, which give them an authentic communicative context. 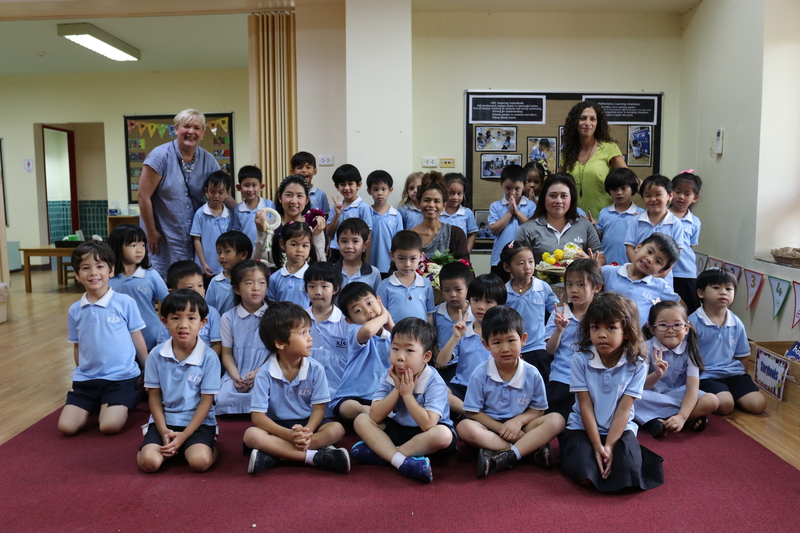 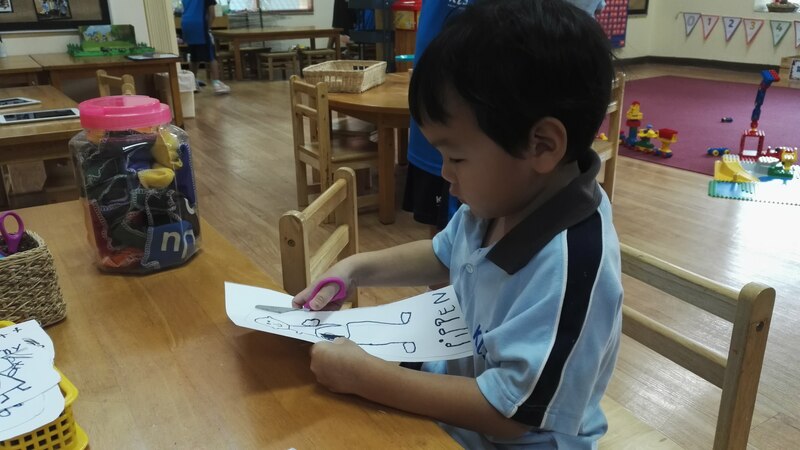 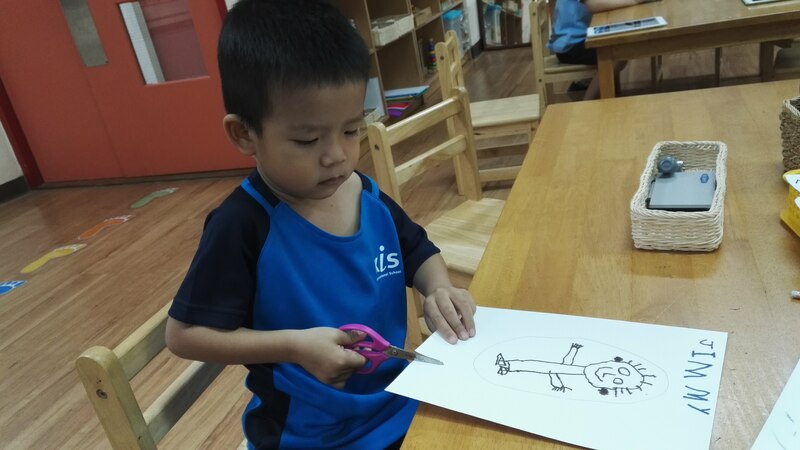 On Wednesday, we recognized Teacher Appreciation Day (Wai Kru) in EY2, which the children learned about in Thai class. 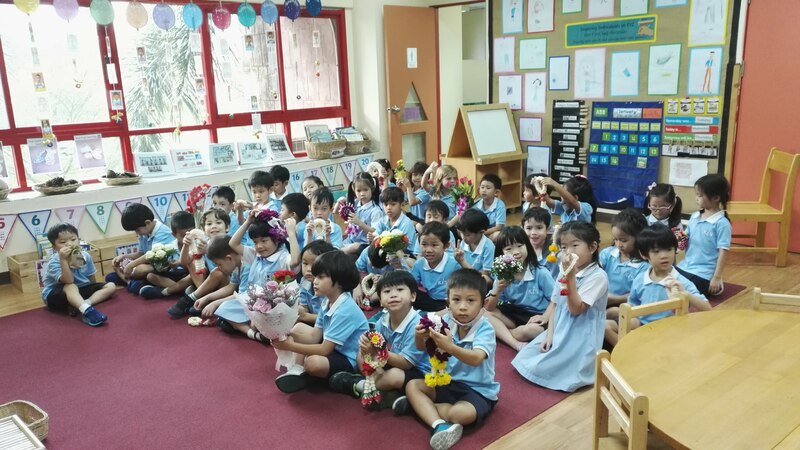 We had a lovely ceremony, and were touched by the beautiful flowers presented to us by the children. 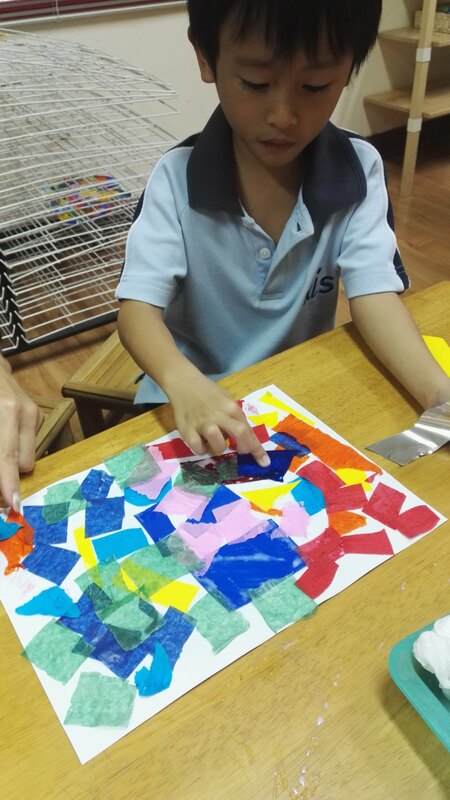 A huge thank you to all the families for supporting the children’s participation. 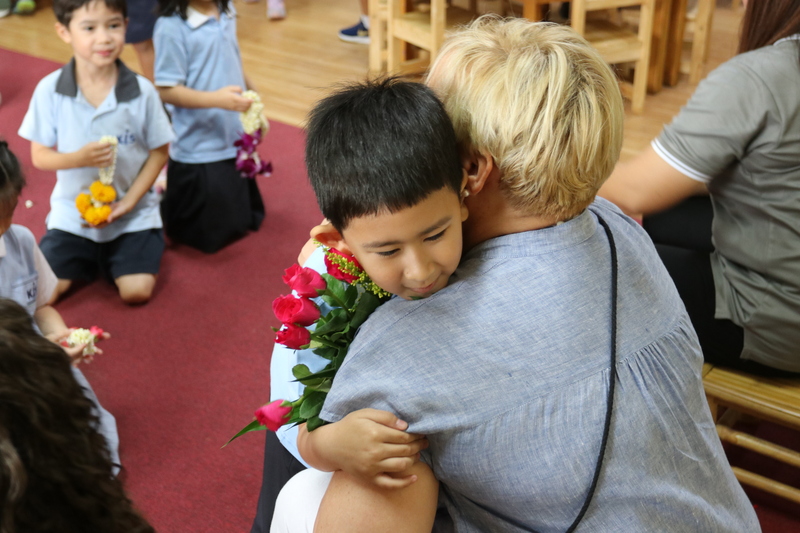 We hope our children know how much we appreciate them as well! 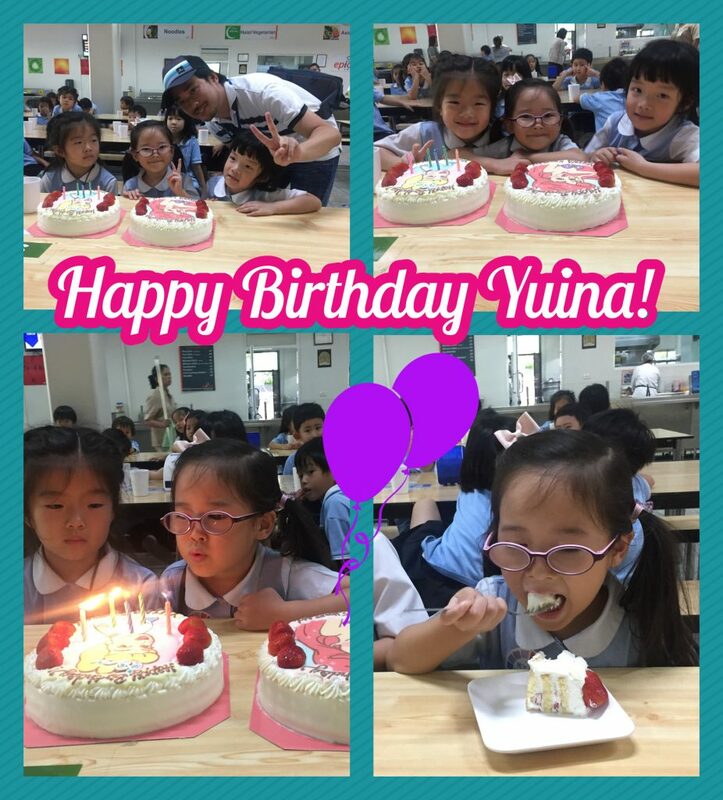 On Wednesday we celebrated Yuina’s 5th birthday. 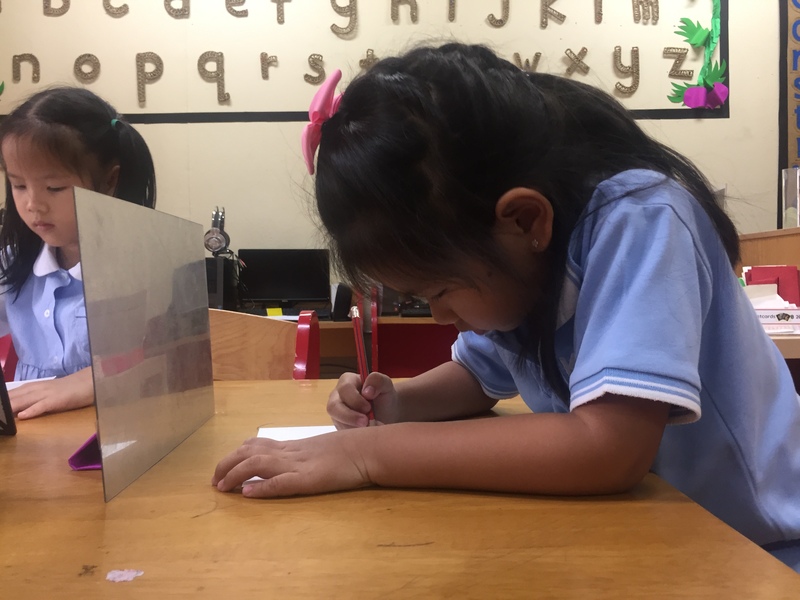 She’s ready to show us what 5 is all about! 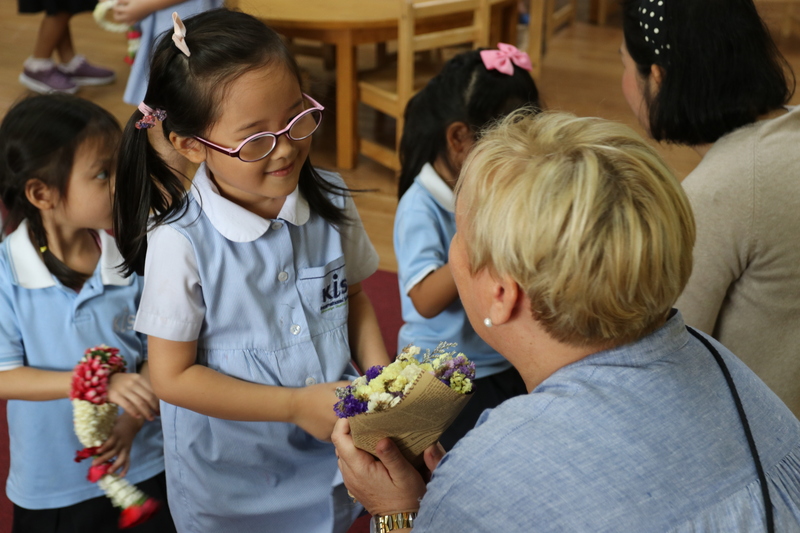 Thanks to Yuina’s family for joining the celebration and sharing a delicious cake!